Greetings from Xela….wish you were here! As most tourists do, I became absolutely fascinated by the Mayan women. Their vivid collection of bright, colorful handmade clothing, their strength and their endurance were amazing to watch. The women are the backbone of Mayan society and have an extremely difficult life. Yet there is one thing that they all still had: Joy. Their beautiful smiling faces matched their brightly colored clothing. My only regret is that I could not get more photos of them. 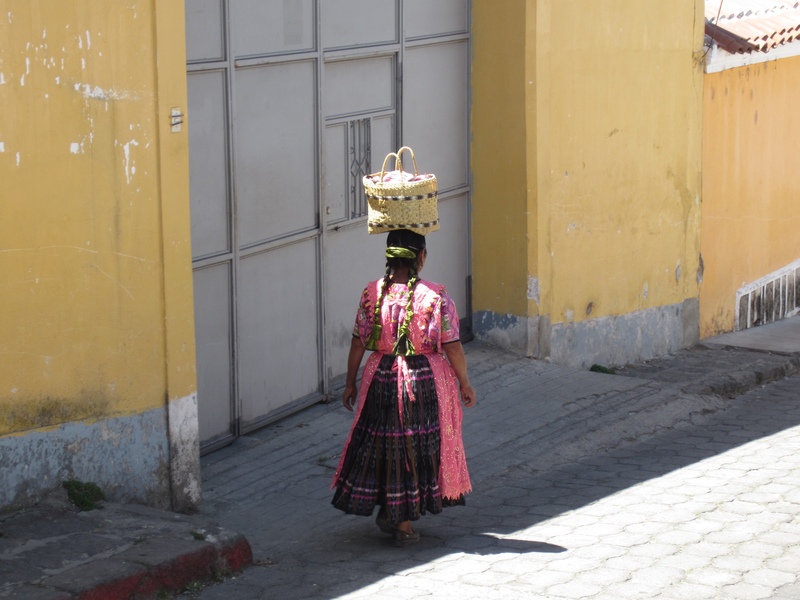 I especially love this photo above taken as I saw her walking down the street, carrying her goods on top of her head. The colors of her dress look so striking next to the brightly colored building.